Input events are currently only supported for messenger bots. Link an input event (e.g. user sends an image) to a block. 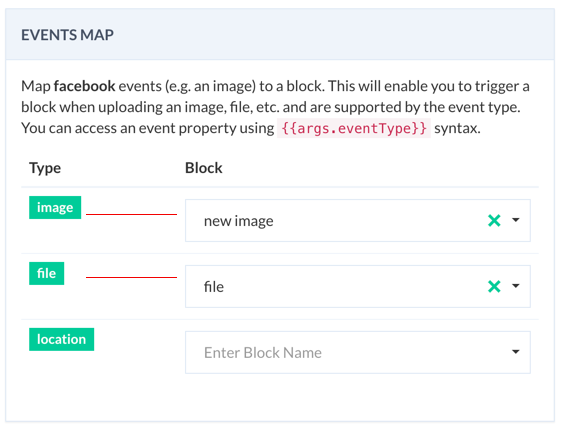 Use this capability to handle and map an user event to a block. A mustache template is a string that contains any number of mustache tags. 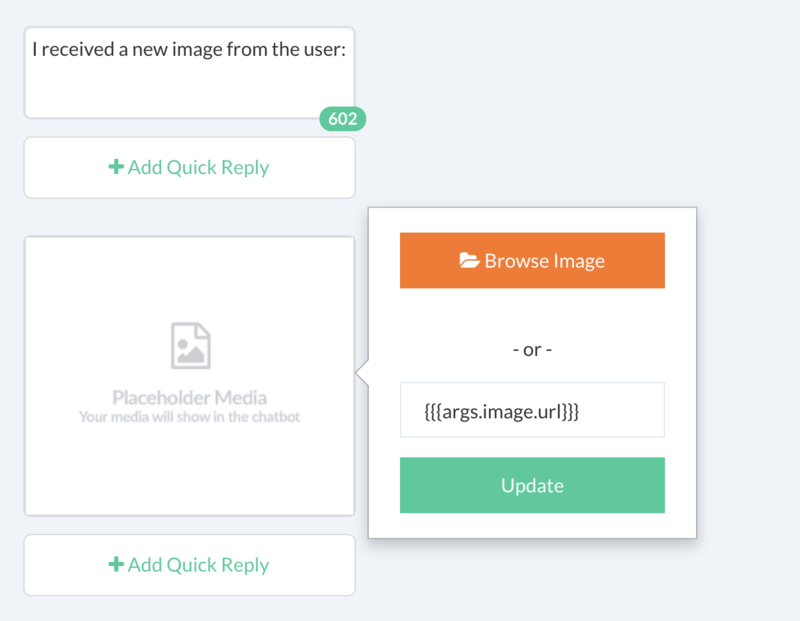 Smartloop adopts this most popular template format to process variables. Tags are indicated by the double mustaches that surround them. Here, in the above example triple parenthesis tells the compiler not to encode the url. Event types can be combined with JSON API, go-to or script blocks to perform various operations from verifying document to serve location-aware contents to your subscribers.